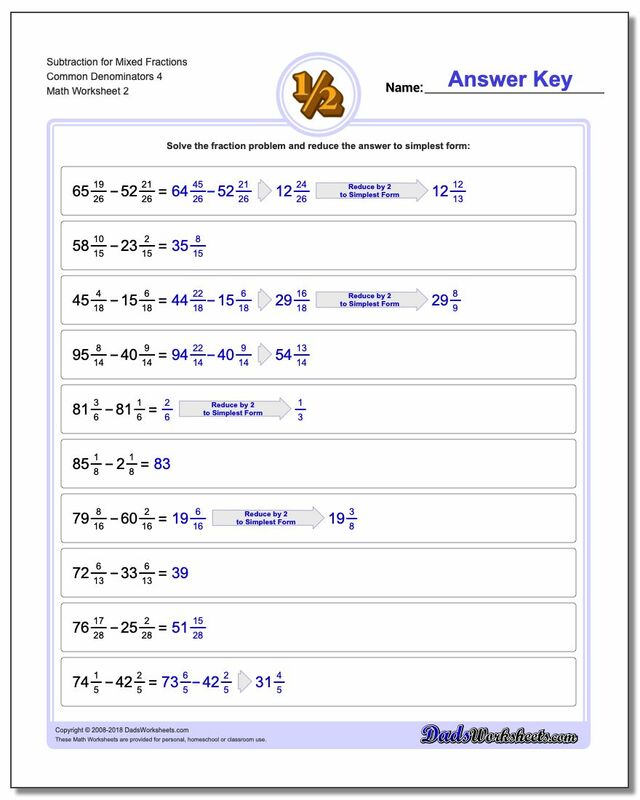 This is the second in a series of subtracting fractions worksheets. 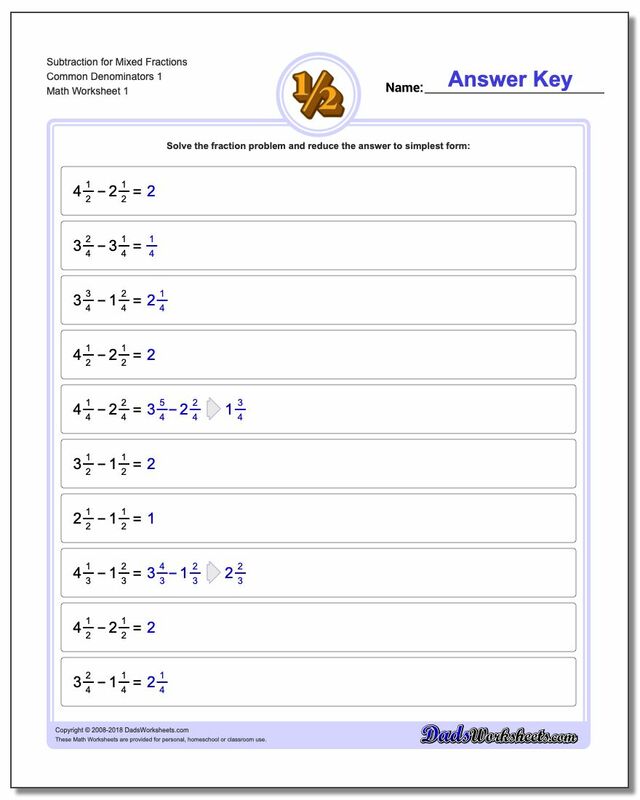 These worksheets introduced mixed numbers in the problems, but the denominators for both fractions are still the same so there is no need to find a common denominator to get the answer. 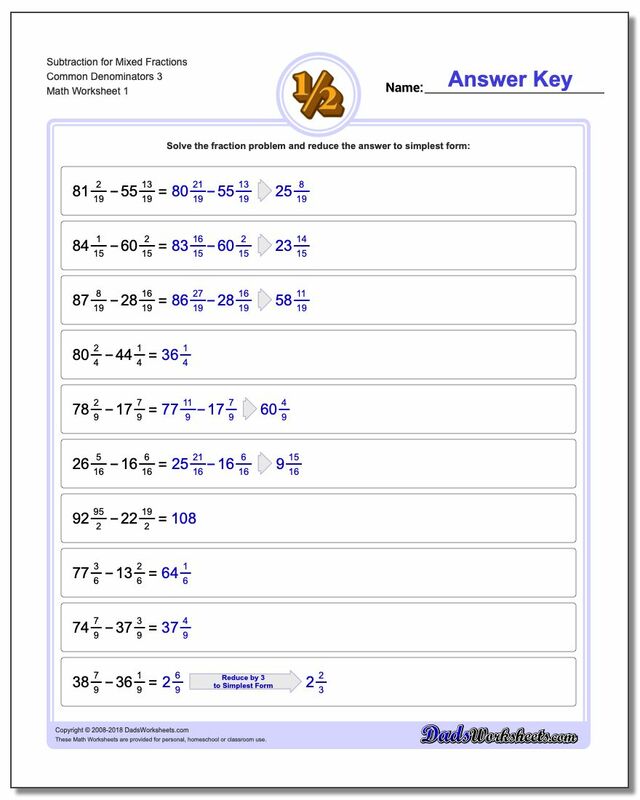 Reducing is still required, and in some cases reverting the fraction in mixed number form to an improper fraction may be required to perform the calculation. 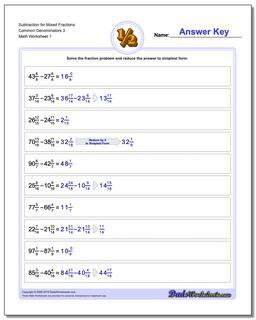 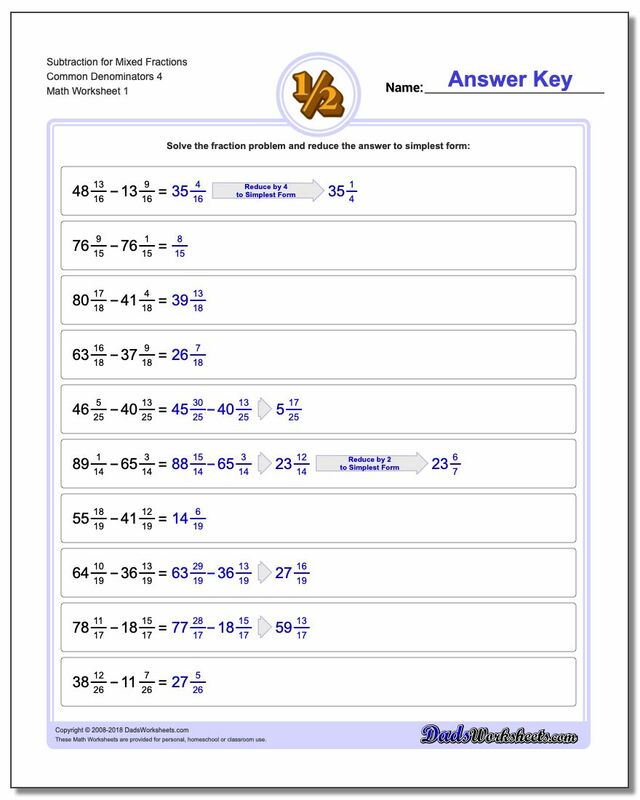 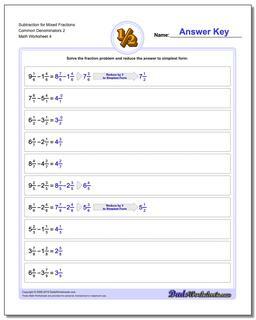 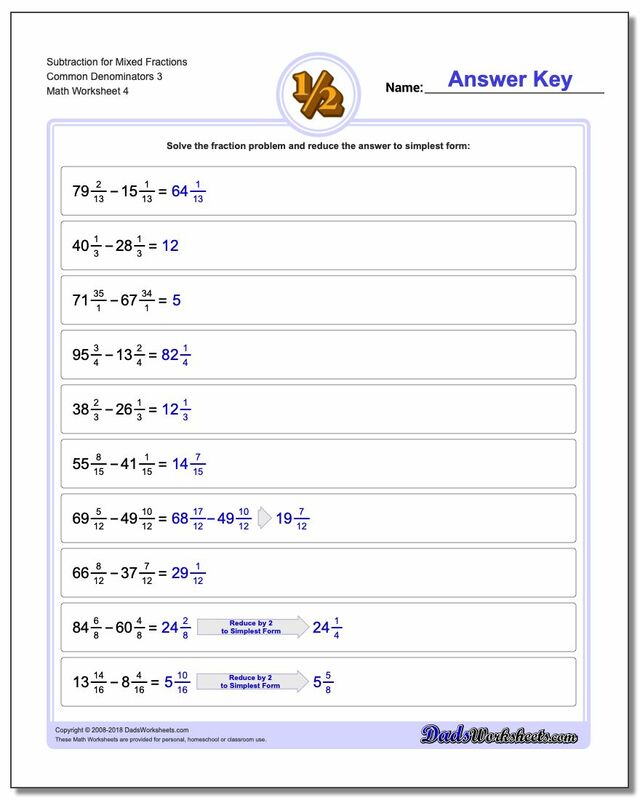 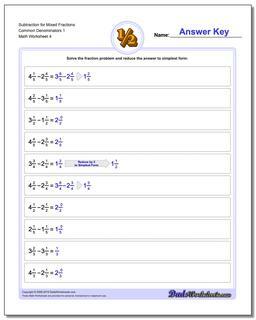 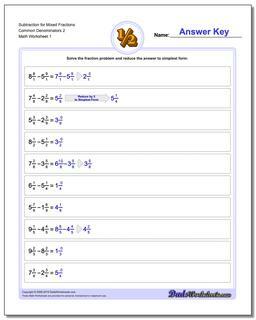 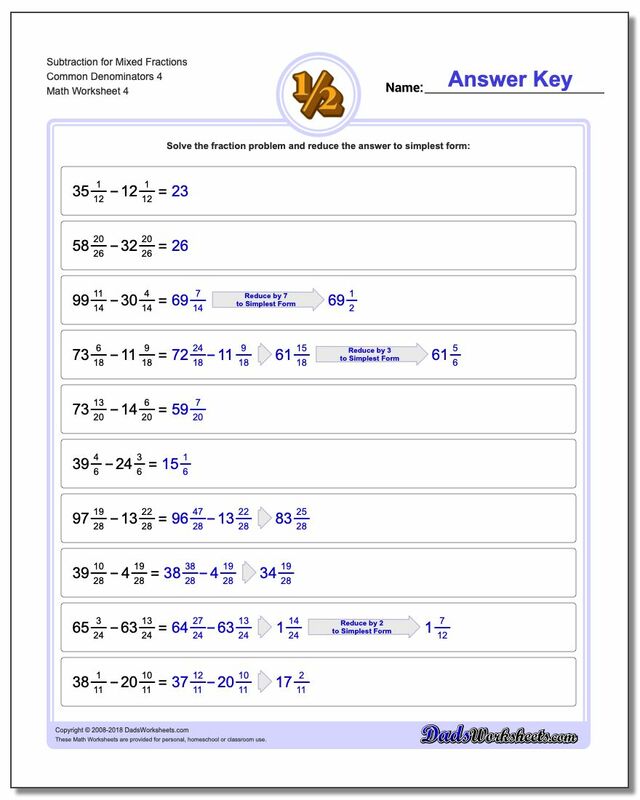 The answer keys provides the steps to subtract fractions, but experimenting with the Subtracting Fractions Calculator may also provide help understanding how to solve these problems.